The Fish & Wildlife Compensation Program (FWCP) is seeking input on draft priority actions from a broad range of perspectives to help update Columbia Region Action Plans. Action Plans guide FWCP investments in fish and wildlife projects and are referenced annually by regional Boards to track progress toward implementation, set annual priorities, and guide decision-making in setting out and approving the annual operating plan for each region. Actions in Action Plans are eligible for FWCP funding and align with the FWCP’s vision, mission, and geographic scope. 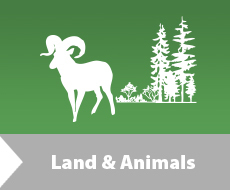 The FWCP is hosting afternoon technical workshops and evening open houses in Valemount, Golden, Revelstoke, Nakusp, Castlegar, Kaslo, Fernie and Cranbrook, along with online information sessions, to discuss draft priority actions and species of interest. If you can’t join in person, please share your ideas by completing the online feedback form by May 3, 2019.